Facebook is the most popular social networking with more than 1 billion active users. In this post, we have listed 4 cool Facebook chat tips. You can use these tips to impress your Friends in chat. Default Facebook chat has simple small text font. It does not has any kind of formatting option. But, you can write text in bigger font that looks cool. For this, Go to Facebook Chat Text Generator tool. Here write the text and then copy the chat code below the text box. It will also show the preview of your text. 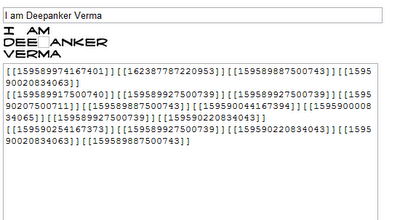 This will look like the code shown below. Now paste this chat code in to your Facebook chat box and see the bigger text in chat windows. Facebook has few default emoticons which we know and use daily. But there are few unofficial emoticons which looks better and funny. You can use these emoticons to make your chat more funny. 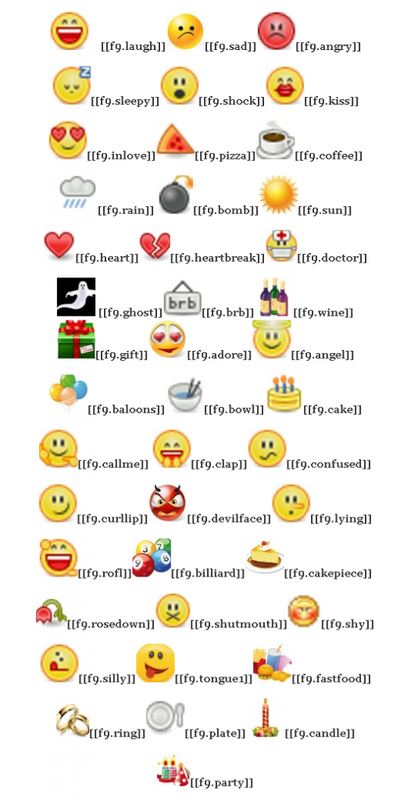 See emoticons and their code in the snap below. Suppose you want to show a laughing face, write [[f9.laugh]] in the chat box. These are some UTF codes that can be used in Facebook status update, comment and chat. 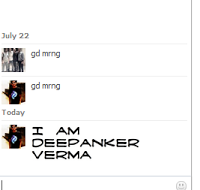 Do you know that you can also put profile pic in Facebook chat? Yeah, you can put profile pic your friends in chat as you write emoticons. For this, you only need to know the useid or username of the person whose pic you want to add in the chat. Just type username or userid with [[ at the left and ]] at the right. If you want to see my pic in the chat, write [[deepanker.verma]].